The 2011 Arab uprisings led to a great proliferation of studies on the situations in the Arab countries of the Mediterranean, with particular attention given to their young people, whose role was particularly central. Eight years on, in-depth exploration is still needed of the conditions in which millions of (mainly young) people demanded change. In this context, this volume examines the state and diversity of the forms of socioeconomic, political and cultural marginalization facing the region's young men and women, as well as the strategies and routes of contestation by which they escape them. 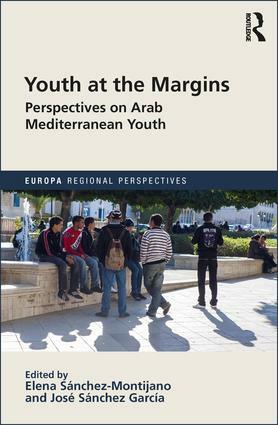 Through the interdisciplinary empiricism of this book, based on the results emerging from the SAHWA Project (funded by the European Commission under the Seventh Framework Programme, grant agreement nº 613174), we aspire to build a complex description and analysis of the current situation of the Arab Mediterranean youth. Elena Sánchez-Montijano is Senior Research Fellow at CIDOB (Barcelona Centre for International Affairs) in the area of migration, and adjunct professor at the Political Science Department of Barcelona University. José Sánchez García is senior researcher at Pompeu Fabra University (Barcelona).